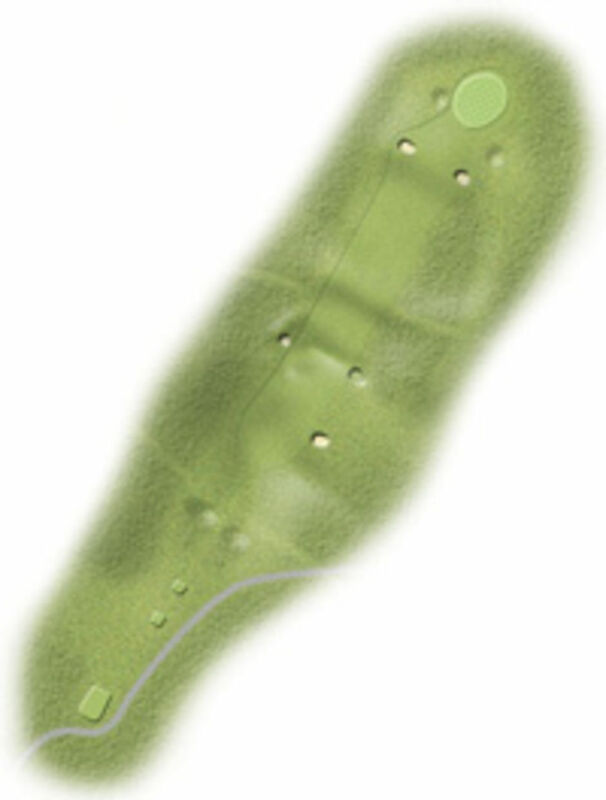 A medium length par 4 at 409 yards, the 13th holes is the only hole on the course with two blind shots. The bunkers 50 yards short of the green can lead to you "not being up". One of the larger greens on the course with much scope for some difficult pin positions. Trust the marker post from the tee. Dead ground short of the green makes the second shot play longer than it looks.